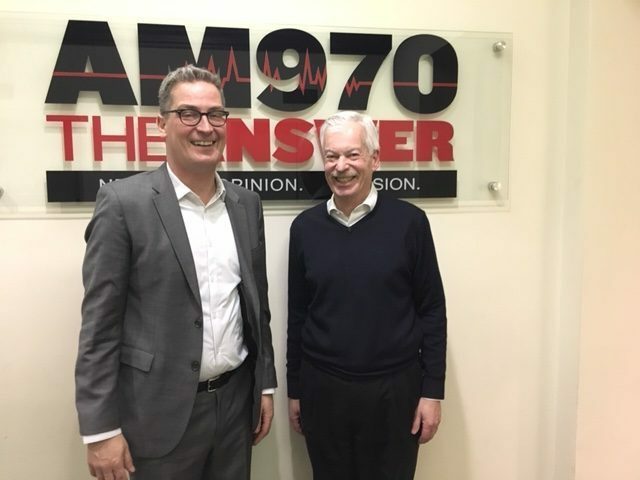 The following is a conversation Phil Buchanan, President & founding CEO of the Center for Effective Philanthropy, and Denver Frederick, Host of The Business of Giving on AM 970 The Answer in WNYM New York City. Denver: If you were to read a book about effective philanthropy, you would want it to be authored by someone who has examined, studied, and researched the topic from multiple perspectives for many a year. And that is exactly what my next guest has done. As a result, he has produced a clear and thoughtful approach as to how you can have greater impact with your own philanthropy. 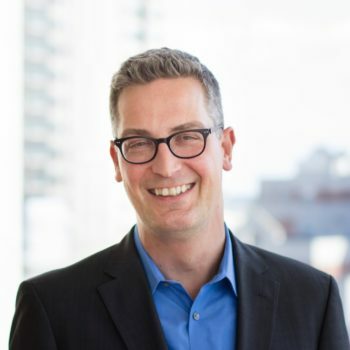 He is Phil Buchanan, President and founding CEO of the Center for Effective Philanthropy, and his wonderful new book is “Giving Done Right: Effective Philanthropy and Making Every Dollar Count.” Good evening, Phil, and welcome back to the show. Phil: Denver, thanks so much for having me. Denver: Before we get into the book, tell listeners a little bit about the Center for Effective Philanthropy and what you do. Phil: We work with donors and historically, it’s been larger foundations we’ve worked with to help them to improve their effectiveness and impact. In recent years, we’ve really begun to think about broadening our reach, trying to reach individual donors as well, who might not be doing their giving through a foundation. So, we do that through our research agenda. We carry out thorough assessment advisory services, and then we also have programming where we bring donors and foundation leaders together to talk about the unique challenge of effective philanthropy. I think it’s an untold story in some ways how crucial giving in the nonprofit sector is to what makes this country strong. And I’ve also witnessed donors make the same mistakes, predictable mistakes. And my hope is that the book helps people avoid some of the common pitfalls, by educating them a bit about what is distinctly different about giving. 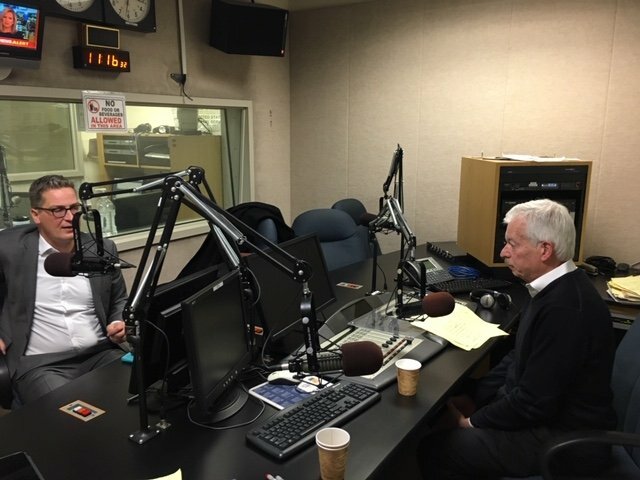 Denver: So many authors, Phil, that I have on the show tell me that they have an urgency they feel about an issue, how it crystalizes in their mind, and that is what provides them the energy and the impetus to go ahead and write a book. Why did you write this book? And why do you believe it is so important right now? Phil: A couple of reasons. One is: over 17, almost 18 years, I’ve seen a lot of great examples of philanthropy that’s really making a difference and supporting nonprofits that are doing incredible work. I think it’s an untold story in some ways how crucial giving in the nonprofit sector is to what makes this country strong. And I’ve also witnessed donors make the same mistakes, predictable mistakes. And my hope is that the book helps people avoid some of the common pitfalls, by educating them a bit about what is distinctly different about giving. So, it’s really that that motivated me to try to figure out what are the lessons we’ve learned over all those years and put them together in a way that really speaks to people, tells the stories of donors who got it right, donors who got it wrong, of nonprofit leaders, and so on. Denver: Let me pick up on what you just said there. That has to do with the context of philanthropy in American society. Share with us a little bit about that, not only the present day, but historically as well. Phil: Historically, giving and, of course, the freedom of association have been a part of this country from the very beginning. The settlers came seeking religious freedoms. There has always been an emphasis on organizing to get things done. Citizens doing that obviously in 1917, the tax code codified an encouragement to give through the charitable deduction, and the level of giving in this country has been the envy of the world, and it is sometimes described as stuck at a couple of percent of GDP. I think another way to look at it is that it has kept pace with GDP growth. That’s a real achievement. We have a strong and vibrant civil society. We have a nonprofit sector that includes everything from Harvard to the homeless shelter, and we have arts and culture organizations. We have endowed museums. Everything in between. Most of our lives as American citizens have been touched by nonprofits in ways that we know, in ways that we don’t know, and everything in between. Probably more altogether than most of us realize. I think that it’s a really important part of this country. It’s also much underappreciated in my view. Even if you could understand the relationship, the causal connection… which you usually can’t… between what you gave to, and what happened – it’s very challenging to compare performance in one area to another. There’s not a common impact unit by which you can gauge the results of your giving to arts and culture, versus my giving to climate or the environment. I think there’s been a damaging trend. You and I have talked about this many times over the years, over the last couple of decades, to want to analogize everything about giving to investing, and everything about the nonprofit sector to business. They’re really different animals. Denver: The breadth of the sector does boggle the mind, it readily does. Warren Buffett among others has said, “It’s an awful lot harder to give money away wisely, of course, than it was to make it in the first place.” Why is it so challenging to do this? And what are some of those common pitfalls that you alluded to a moment ago? Phil: I think one way which Warren Buffett… he didn’t fall into this trap is to think that giving is like investing. It isn’t. The biggest reason it isn’t – there’s a whole bunch – but the biggest reason it isn’t is because you can’t measure performance easily in your giving in the way that you can in your investing. You can finally compare investments or companies on common measures if they’re working in very different industries. Not so in the world of giving. Even if you could understand the relationship, the causal connection… which you usually can’t… between what you gave to, and what happened – it’s very challenging to compare performance in one area to another. There’s not a common impact unit by which you can gauge the results of your giving to arts and culture, versus my giving to climate or the environment. I think there’s been a damaging trend. You and I have talked about this many times over the years, over the last couple of decades, to want to analogize everything about giving to investing, and everything about the nonprofit sector to business. They’re really different animals. Denver: But the language overlaps a lot. We use those analogies. We use those metaphors all the time, and you really think it does a disservice, as it clouds the issue as opposed to clarifying it. Phil: I do. I tell a story in the book of sitting in a second-year elective class as an MBA student, and a self-styled venture philanthropist was a guest speaker. She was one of the poster children of the Harvard Business School social enterprise world. She came in to tell everyone that the nonprofit sector was broken… that nonprofits were badly run, in need of aggressive investors to hold them to account, and she was there to do just that. Then she had a whole new approach. It’s like utter malarkey really, in fact, and one of the things that I’ve done in writing the book is spend a lot of time with nonprofit leaders who I think are unsung American heroes, whose job is actually vastly more complicated and difficult than it would be if they were CEO of an equivalent- sized business. They have to do so much more. So, I just think it’s important if you’re going to be a wise giver to actually understand how hard these jobs are. I can share all kinds of stories about that, and I try to do that in the book and not to say, “Actually what we really need is nonprofits to act more like business,” whatever that even means. What does that mean? The dry cleaner? Google? Volkswagen? It doesn’t even make sense to say that. I think what people mean is they want organizations to be effective. But then, let’s talk about that! I think there’s this tendency to assume that there’s going to be a quick fix, that we can disrupt education just as easily as Uber disrupted the taxi industry if we just create the right app. Denver: I’ve had probably over a dozen nonprofit leaders who’ve been on the show who were former CEOs of corporations, and one of them said the job was equally difficult, and every other one said the nonprofit was 10 times more difficult than it was running a company. One of the places where these great sages from the business world came in and were going to fix our sector was in education. They were going to apply some business principles to education; that may be the poster child of how that’s all gone. Give us an idea of how some of that has worked, or let’s say, not worked. Perhaps linking teacher pay to performance was certainly something a number of education funders were interested in. Okay, no that wasn’t it. It’s about common core. Time and time again… because these problems defy… in general, there are exceptions, but defy single solutions, magic bullets. Because they’re interdependent, and cause and effect is hard to predict here. So, it’s really challenging. Education, as you say, Denver, is probably the area in which we’ve seen the most repeated and spectacular failures on the part of donors, and big donors in particular. But the folks in neighborhoods– the families, the kids, the parents who would be affected by the changes were not engaged sufficiently. Yet, they have the real expertise and knowledge. I think one of the really good trends of recent years is we are seeing, I think, a bit more heightened awareness of the need to engage folks on the frontlines, the folks whose lives you’re trying to improve, in the conversation about what strategies will be most effective. Denver: Of course we have it right here in this area with Mark Zuckerberg and the City of Newark. That $100 million dollar investment. I think it’s somewhat healthy to see that both in his case and the Gates case, they admitted that these things did not work out and that they were pretty much failures; and that at least is a healthy sign. Phil: Agreed, and I think the lesson from Newark, and I think this applies to some of the other education efforts as well, is in part that you cannot impose solutions top down. As a colleague of mine has said: Nobody wants to be told that someone else is the expert on their life. Everybody agreed in Newark that the schools were broken and that they needed to be fixed. But the folks in neighborhoods– the families, the kids, the parents who would be affected by the changes were not engaged sufficiently. Yet, they have the real expertise and knowledge. I think one of the really good trends of recent years is we are seeing, I think, a bit more heightened awareness of the need to engage folks on the frontlines, the folks whose lives you’re trying to improve, in the conversation about what strategies will be most effective. Denver: Invariably, the people who are closest to the problem are closest to the solution. That’s always been the case. Let me talk about something, which is the bane of, I think, of our existence. That has to do with the overhead question. That narrative still prevails… that when I make a contribution, I am going to be totally focused on how much of that is going to program, and how much of that is going to administration and fundraising, and that is going to be a key, if not the key determinant, as to whether I’m going to support an organization. What is wrong with that question, and why does that narrative still carry the day in so many different places? Phil: I think the narrative to answer the last part, first carries the day because of what I already alluded to, which is the desire for the analog to ROI, or profits. What is the standardized, quantifiable, comparative metric that cuts across program areas? Overhead is one, and it’s simple; except that it’s not, because the definitions are all over the map. I think there are obviously extreme cases where you have folks spending tremendous amounts on for-profit fundraisers. These are abuses really in which nonprofits have been set up that are little more than shells for for-profit fundraisers who – and you have a very high percentage that’s just going in their pockets. Obviously, that shouldn’t happen. We need to call it out. But in an ethically run, well-functioning nonprofit organization, their key question is: What are they achieving relative to their goals and relative to their overall budget? I think we need to have some faith in folks to allocate that budget as they see fit. Denver: You can make up any calculation you want to to get to your overhead. Phil: Exactly, and I think there are obviously extreme cases where you have folks spending tremendous amounts on for-profit fundraisers. These are abuses really in which nonprofits have been set up that are little more than shells for for-profit fundraisers who – and you have a very high percentage that’s just going in their pockets. Obviously, that shouldn’t happen. We need to call it out. But in an ethically run, well-functioning nonprofit organization, their key question is: What are they achieving relative to their goals and relative to their overall budget? I think we need to have some faith in folks to allocate that budget as they see fit. Things that sometimes get deemed overhead are in fact necessary to delivering the results. So, you look at an organization feeding the hungry, and you say: We only want to pay for the food, not the rent on the space where the volunteers come and provide the food. That doesn’t make any sense. But I think because the performance measurement challenge is so significant, people find it frustrating, and they want something. They gravitate toward what’s available. As a result, they don’t always make the best decisions. Denver: I had a very interesting guest on the show a while back by the name of Caroline Fiennes. She’s from the UK. Very funny woman. She leads the organization called Giving Evidence. She’s a physicist who came over to the sector. What she did is she went to the Give Well blog where they rate the best organizations. Through her analysis, she found that those that they rated most highly had the highest overhead. It just goes to show you that it can be totally misleading. If we’re not going to do that, how does a donor then begin to analyze the performance and measure the impact of that organization so they can make an intelligent decision on their own contribution? Phil: Here’s where it’s more work than anybody wants it to be. Really, what I think you want to look for is answers to three pretty simple questions. What are they doing? What are their goals? How are they doing it? What is their approach or their strategies? What information do they have about how it’s going? What are the metrics that they use to gauge their success? To give an example, an organization that I write about in the book that I also– after learning about them– have started personally supporting, is called UTEC. They are in Lowell and Haverhill outside Boston. They focus on working with the most violent young people who are involved in gang life. They try to recruit them out of gang life. Get them employed at one of their social enterprises, help them turn their lives around. Talk about a tough job. What do they monitor? They monitor recidivism. What percentage of their young people who they work with end up falling back into a life of crime? They compare that to state averages, and they see how they’re doing. So, that’s how they know, and that’s what you want to look at. What are they doing? How are they doing it? How do they know if they’re making progress? Denver: I’ve been in this sector my entire life, and there always seems to be a flavor-of-the-month around discussions of the sector, and currently, it would be the evils of big philanthropy and how it is undermining democracy. Perhaps the leading voice there would be Anand Giridharadas who has written a book which has captured a lot of attention called “Winners Take All: The Elite Charade of Changing the World.” He believes that big donors are merely perpetuating a system that led to their extraordinary wealth in the first place. You tend to look at these matters in a very balanced way. Give us your critique on that. Phil: I’ll try to live up to that and say: I agree with Anand that there are examples of donors who have used their philanthropy to distract, for example, from their unethical business practices. Anand speaks all the time of that example. I also think that there has been too much of a happy talk in which it’s actually business that’s going to solve all our problems, without recognizing that if business could solve all our problems, they’d probably be solved. That there are some challenges that markets and government haven’t been able to work out, and that’s often where philanthropy comes in. Those are areas in which I agree. But I think Anand paints with an absurdly broad brush, that it is an overly-generalized caricature that denies much of the good that givers do, including ultra-wealthy givers who are motivated by a genuine and real desire to have a positive impact on the world. Not to preserve the status quo, or to buttress their own reputation. So I think it’s unfortunate and unfair to paint with that broad a brush, and I worry about it from the standpoint– both of what signals it sends about what we want to encourage. It’s interesting to note that recently, in not too distant times, there was a lot of critique of many of the very wealthiest for not giving enough. Now, we’re criticizing them for giving too much. Most of the donors– it’s not a representative sample but the individual donors who we work with– they’re trying really hard to get it right, and they don’t always get it right, and we should call them out when they don’t. We shouldn’t bow down to anyone. But giving is good, and we should be encouraging it. I think Anand, and to a certain extent Rob Reich at Stanford in his book, are conflating a critique of our current approach to taxation, and the belief that the wealthy should be taxed at a higher rate… that, for example, the capital gains should not be taxed at a lower rate than income – a lot of things that I generally agree with… they are lumping that together with the critique of philanthropy. Ultimately, it’s our elected representatives in Congress that have to address the first challenge. Meantime, we have folks who have resources, and they have choices about what to do with those resources, and I would like them to try to give back. And I would like to help them to try to do it effectively. …No sector’s got all the answers. Each of the three sectors has a distinct role to play, that each needs each other to be their best, that none are their best today, and that that’s a better lens for how we think about what will make this country be what we want it to be. Denver: That was very balanced. On the other hand, I think the number of Americans contributing to charity has been declining for a number of years. Some of it may have been the recent tax law, but it has been going on longer than that. What do you make of that, and are you concerned by that trend? Phil: I don’t think we actually know the effect of the recent tax law change yet. And I think data– good, reliable data– is hard to find. But there is data that suggests there’s a decline in the percentage of households giving, and there’s some data that suggests that middle class families in particular are maybe giving at lower rates. I think that’s hugely concerning. One of the things… not to bring it back to the book, but then I’m trying to do in the book… is inspire people to give by reminding them of the tremendous progress that giving has helped contribute to. I think some of the decline may be just related to stagnating wages for many in the middle class. But I wonder if some of it is also related to the fact that we have not sufficiently held up nonprofits, what they can do, what they have done, and that we’ve had this narrative over the last couple of decades in which we have this “Business knows Best” crew saying, “Hey, philanthropy folks and nonprofit folks, you got it all wrong. Business has all the answers.” Now, we’ve got Anand and others saying, “You’ve got it all wrong. Government’s got all the answers.” My view is actually,: No sector’s got all the answers. Each of the three sectors has a distinct role to play, that each needs each other to be their best, that none are their best today, and that that’s a better lens for how we think about what will make this country be what we want it to be. Denver: Also a better lens for all this would be if the media every once in a while reported a good story because so much of what we hear about the nonprofit sector is the latest scandal. That’s what’s going to make the news. Not the things that are really positive, and to the extent that they do it, they’re usually puppy dog stories that make you feel good. They’re not transformative change stories which they should be reporting. You talk in the book about philanthropy that is done right. Let’s talk a little bit about that. A good example would be the Wilburforce Foundation and the donor behind that. Tell us that story. Phil: Rose Letwin was a Microsoft early employee. She cared a lot I think as a young girl, and certainly as an adult, about animals and about the environment. She…I think this is true of so many donors… She never expected, I don’t think, to have the resources that she had and then asked herself: What am I going to do? And really has focused on protection of habitats for wildlife and conservation in the Pacific Northwest in the US and Canada. They’ve been hugely successful in helping to preserve land and the natural beauty in that part of the country. They have done that by supporting usually small and locally-based organizations that are fighting to protect, whether it be forest or whatever, by strengthening those organizations, linking them up in a network and providing them the support they need to do their work as best they can. They’re a great example to me of an organization that is very focused on what they’re focused on. They know what they’re trying to do, and then they also are very clear about the fact that it is the nonprofits, it is the grantees who are at the center, who are really doing the work, and their job is to have a relationship with those organizations that strengthens those organizations to do their work better, and I think they’ve done a really good job. Denver: You’ve spent a lot of time on relationships don’t you? Speak a little bit about that because they are so important in terms of doing things successfully. What’s your thinking on that? 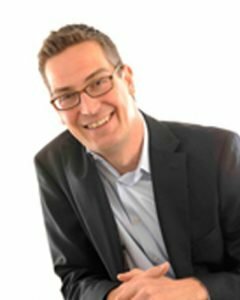 Phill: I think here again, we see the business analogies aren’t helpful so people sometimes say… big donors or foundations will say, “Our grantees are like customers.” They’re nothing like customers because the money is flowing in the opposite direction, and the power dynamics are completely different. If you and I go out to lunch someday, and we don’t like our meal, and the service is terrible, we can never go back there again if we want to. We can trash the place online, no fear. If we have a bad… if we’re running a nonprofit though, and we have a bad interaction with a big donor, we’re not going to say much to anyone about it. So the dynamics are completely different. Why does that matter? It matters because donors can’t do their work effectively if they don’t understand what’s going on on the ground. The only way they’re going to understand what’s going on on the ground is strong, trusting relationships with their grantees. That’s how they’re going to hear : “Actually the strategy we’re trying isn’t working” rather than: “Oh yes, it’s working wonderfully.” Just to underline the point, folks are predisposed to tell big donors what they think those donors want to hear. So that lack of good candid data and information can get in the way of refinements in strategy that need to occur, and we see this time and time again. I just think relationships are absolutely crucial to being an effective donor. A lot of interesting things happen when you just ask somebody else to lead the meeting. It’s just a constant emphasis also on experimentation and learning. Go ahead and try that in a way where the consequences of failure are not too high, and then let’s see what happens. Denver: Also it gets back to this overhead issue. I know so many who will tell the foundation an overhead which the foundation knows is not the real overhead. But they’re trying to get the grant. So what you start is a dance; it’s dishonest discussion. And if it starts that way, it stays that way. It sounds like the sector… maybe this should be your next book, we need a whole new taxonomy to really describe these things because we’re relying on so many… even the word “nonprofit” in itself is describing what we’re not. Perhaps language will be critical in perhaps increasing that understanding. One of your major objectives at the Center for Effective Philanthropy (CEP) in 2019 is to nurture and create a culture of innovation and creativity. That is so difficult to do when you’re churning out the kind of work that you’re churning out day in and day out. How are you going about trying to achieve that, Phil? Phil: We definitely don’t have that one figured out. I’d be the first to tell you. It’s really interesting. I was the first staff member basically in CEP. In the early days, we had all kinds of time to think about what we might do because we weren’t doing anything. Nobody knew we existed. We knew we had to innovate and come up with things that people were interested in. Once that happens, then you’ve got to satisfy the demand. So, it’s tricky. There’s a couple of things. One is, just to set aside time; literally, we’ll have a week in the summer where nobody works on anything other than new stuff. They’re going to be able to work on basically whatever they want and pitch their colleagues to work on it with them. I think another thing is breaking patterns in a variety of ways of how conversations happen; who leads them in an organization tends to default to the most tenured or senior person in the room. That just doesn’t make any sense. A lot of interesting things happen when you just ask somebody else to lead the meeting. It’s just a constant emphasis also on experimentation and learning. Go ahead and try that in a way where the consequences of failure are not too high, and then let’s see what happens. And really encouraging that, I think organizations in all kinds of unintended ways sometimes penalize people for taking risks. Obviously, there are certain risks you don’t want people to take. But there are areas in which you can encourage risk, and there isn’t a lot of downside. To identify what those areas are and then encourage people to go take chances and try things, I think is something we’re trying to do more of. Denver: That’s great. People talk about embracing failure. All the organizations that I’ve ever been to that embraced failure seem to be the ones with the highest standards. And they’re very rigorous. It’s the other side of it– which people never talk about. They think it’s: “Oh, we can fail.” Those organizations avoid failure as much as they possibly can. Denver: In the process of writing this book, was there something that perhaps you have always thought about in the back of your mind but never really fully appreciated in terms of its centrality and importance to the whole philanthropic sector? Phil: One of the things that I did in writing the book is try to get beyond all of the research we’ve done on nonprofits and their perspectives on donors, and what would be helpful to them through all the survey work that we do, all of the qualitative comments that we read, and actually go out and spend time, to spend a day or half day in different organizations. This is something that I’m continuing to do, is to be inspired by the heroism of the staff and volunteers in community-based organizations working on the frontlines of the toughest challenges. We spent time at a community-based health organization in Houston, Texas. Met the executive director and saw what they’re doing to try to help the most desperately poor there. Spent time with a volunteer, a retired lawyer who just turned 80, who comes in and coordinates the vision testing that they have. Outside folks come in and do for poor people who might not otherwise have access to it. The sense of community and passion for the mission among the staff and volunteers and the degree to which that purpose is motivating them, and I feel like in our society, we read a lot about corporate CEOs and business titans and the Kardashians – whoever else – I would love to see us reading about folks like these – the staff and the volunteers who are doing this tremendously important work that nobody else is doing, and that communities so desperately need. Denver: If it’s going to lift the psyche and make this country feel more positive, those stories do definitely need to be told. Phil Buchanan, the president and founding CEO of the Center for Effective Philanthropy, I want to thank you so much for being here this evening. 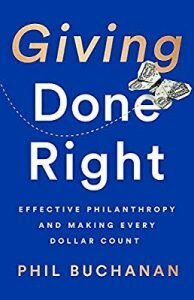 The book is “Giving Done Right: Effective Philanthropy and Making Every Dollar Count.” It truly provides the grounding and clarity that every donor needs to have, and you should definitely pick it up. Thanks so much, Phil, for being on the show. Phil: Denver, thank you so much for having me.